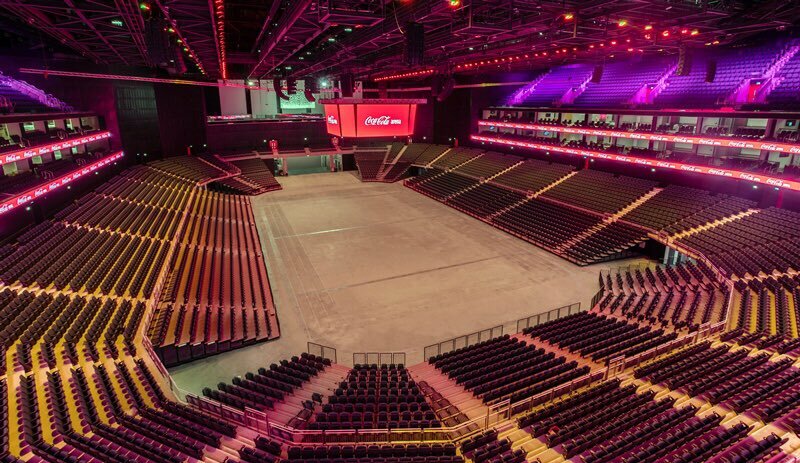 Dubai: The new 17,000-seat Dubai Arena, set to open in City Walk this June, will be named the Coca-Cola Arena after its owner Meraas struck a 10-year sponsorship deal with the soft drinks giant on Monday morning. While the commercial terms of the deal were not disclosed, Meraas said in a statement that the agreement would give Coke a number of exclusive on-site rights. A promotional video for the arena released on Monday suggests that basketball, comedy, boxing, performance art and live music will all feature heavily in the venue’s upcoming slate of entertainment. Coca-Cola actively sponsors a number of venues, including the Coca-Cola Coliseum in Toronto, an exhibition centre; the Coca-Cola Park in Pennsylvania, a baseball park; and the Coca-Cola Roxy in Atlanta, a concert venue. “We are proud to be a part of this highly anticipated entertainment destination which demonstrates our commitment to the region,” said Murat Ozgel, general manager of Coca-Cola Middle East. Last April, rival soft drinks group Dubai Refreshment Company announced it would become the official beverage and snack partner of Dubai Expo 2020.